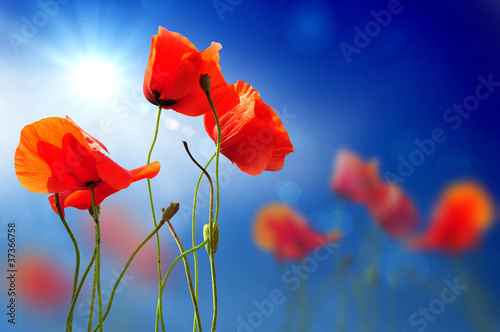 The red of red poppies glistering in the sun seems to be three times more intense when watched on the background of the blue sky. There is no more charming view. Let’s close our eyes and feel like we are gently waving with greenery. Lull your house to dreaming by decorating the walls in a bedroom or living room with a wonderful photo wallpaper.